So, I’m going to tell you a TERRIBLE secret about me. Something I am dreadfully ashamed of. Okay. (Deep breath) here goes. It’s not that I didn’t think that voting was important, or that I didn’t understand the value and the power of living in a democracy, where we can have a say. I really get that a vote is a voice and if you don’t use it, you’re voice remains unheard. It’s just, there was no one election or referendum where I was motivated to participate. I felt like I didn’t know enough, or didn’t care enough to know what my voice was. What I wanted to say. 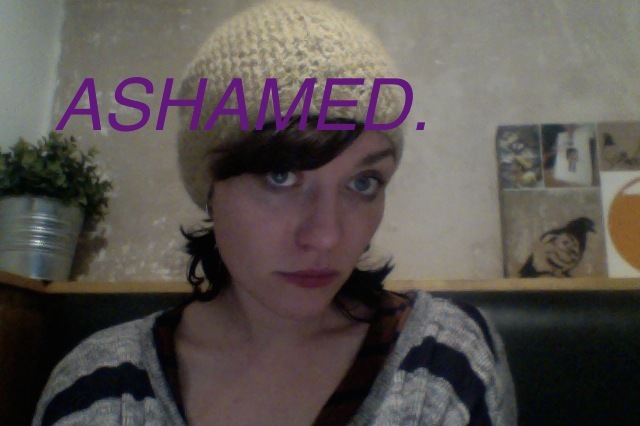 And I was ashamed of that, rightly so, I think. Because we live in a world where people are still fighting for the right to vote. Where women, historically, have had to fight long and hard for that right. And then there’s me. Sitting on the sofa, eating biscuits while the country decides things around me. But that’s about to change. Because I’m voting today. For the first time ever. And I’m excited. Because while I might not be the best at keeping up with politics, or the intricacies of the constitutional law, I’m lucky enough to be in love with my best friend. Who happens to be a man, which is convenient because I don’t have to worry about inequality in the eyes of the state. The world is so, so full of people. Some great, some terrible, most of them okay. And when you find a person you click with, you should be allowed to feel lucky and happy and safe. And I certainly don’t think the love I have matters more than anyone else’s because of it being the traditional man-woman kind. Is how I feel. Quite strongly, actually. So, I’m voting today, at my local polling station. Where I poll. Because I’m a voter now and stuff. Good for you! And YES to love being celebrated, not legislated against! Keeping my fingers and toes crossed that equality wins. eep.